The Indigenous People of Biafra, IPOB, has released what the system of government would be in the Sovereign State of Biafra when it is finally actualized. 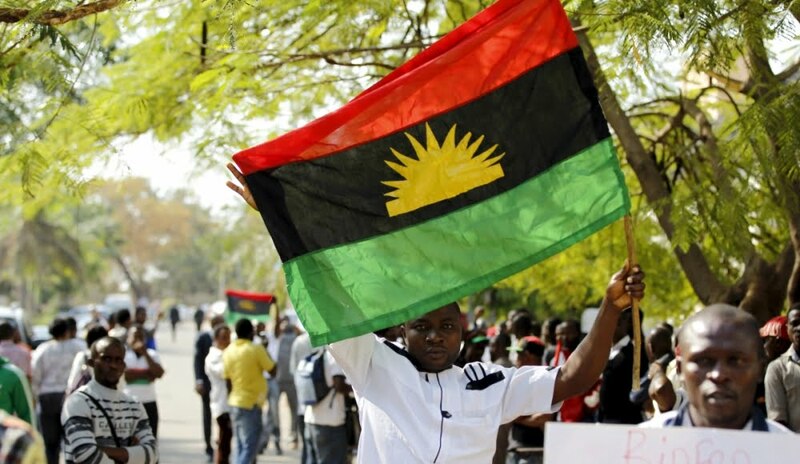 The pro-Biafra group said its constitution would be written in local languages with seven nations making up the country called Biafra. â€œWhat is the proposed CONSTITUTION of the upcoming UNITED STATES of BIAFRA. Can we get a draft copy of it in the public domain now that will be necessary before our campaign towards the pending globally accepted BIAFRA REFERENDUM? â€œResponse from MAZI NNAMDI KANU: Biafra will run a unique political system designed to cater for the needs of our people. â€œWe are going to have NATION STATES. We will have an IGBO NATION WITHIN BIAFRA. We will have an EFIK NATION WITHIN BIAFRA. We will have ANNANG NATION WITHIN BIAFRA, if they so choose. We will also have IJAW NATION WITHIN BIAFRA. We will have ISOKO NATION WITHIN BIAFRA. We will have IDOMA NATION WITHIN BIAFRA. We will have IGALA NATION WITHIN BIAFRA. â€œListen to this: THEY WILL ALL BE AUTONOMOUS. Each Nation State will control the resources in their own land. The only thing that will bind us together will be a COMMON DEFENSE POLICY, COMMON ECONOMIC POLICY, COMMON POLICY IN HEALTH AND EDUCATION. In the rest, let people develop according to the pace that they wish or they decided amongst themselves to go by. â€œLAWS WILL BE DONE IN LOCAL LANGUAGES. Igbo Parliament will make their own laws in Igbo language. Ijaw Parliament will make their own laws in Ijaw language. The same thing applies to Ibibio and others. So that when people are lying to us we will know because you know lying is good in English Language. But you canâ€™t deceive the people when you are actually speaking in the language that they understand. â€œWhat we are going to have in Biafra will be A BRAND NEW NATION WITH NEW IDEAS AND NEW WAYS OF DOING THINGS. Our political arrangements will be geared towards addressing our core needs.